For the past few days, there have been heavy rains in Nilgiri District. Today afternoon, more than 40 passengers were travelling in the Government (TNSTC) bus going to Coimbatore in the route of Ooty to Coonoor. When the bus was nearing Manthada, the bus driver took a right turn citing a crater in the road. Unfortunately, the bus lost its control and fell into a 100 feet deep gorge and crashed. Passengers inside the bus were thrown out. On-lookers helped to rescue the struck passengers from the bus. Seven of them died at the spot and many were injured and they were immediately taken to the nearby Ooty Government Hospital for treatment. Following the order of Nilgiri District Collector Tmt. J. INNOCENT DIVYA, I.A.S, a team was sent to the accident spot and they are currently involved in the rescue operations. The police are about to identify the deceased in the bus accident. Similar such accident took place two weeks ago. 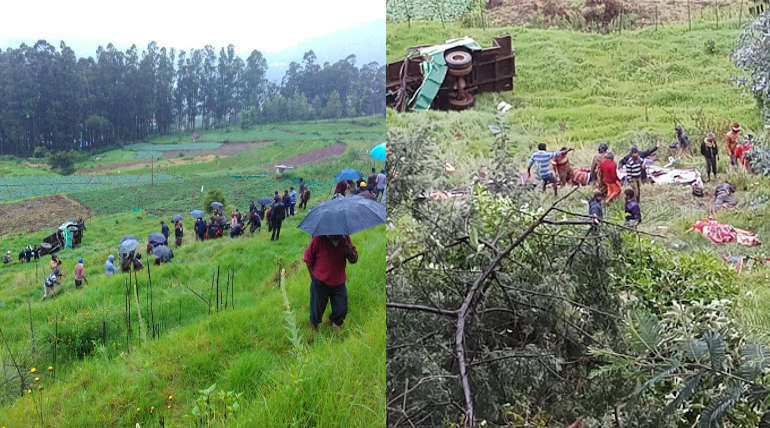 On May 27, 2018, a tourist bus with more than 30 passengers were returning to Bangalore from Ooty and the bus met with an accident in Coodalore National Highway, in the same manner, toppling into a 30 feet gorge near bend turns. Four were dead and 16 got injured. 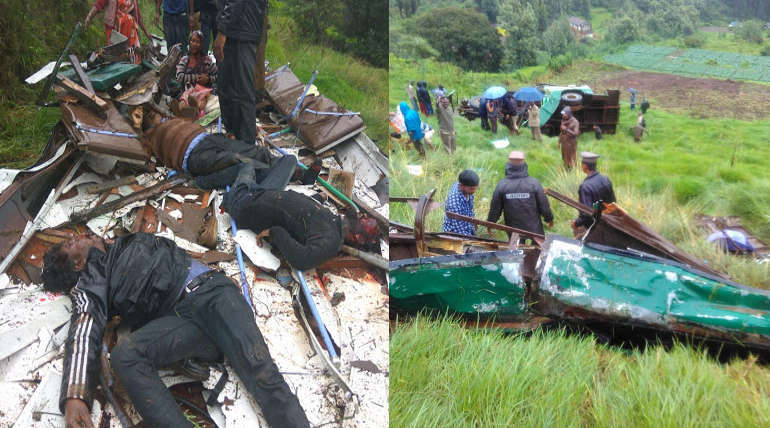 Government officials are requested to consider the issue of subsequent bus accidents in about two weeks time gap and take proper measures to avoid any such accidents in tour season and monsoon seasons.